MYRATH ANNOUCED FOR PROGPOWER USA FESTIVAL ! We are beyond thrilled to have our very first confirmed date of 2017, and equally excited to announce it will be none other than the legendary ProgPower USA!! 4 years following our first appearance in the premier progressive and power metal festival of North America, Myrath will be firing up the stage of ProgPower USA for a second time on September 8th, 2017, alongside many epic names! Get ready for us USA!! 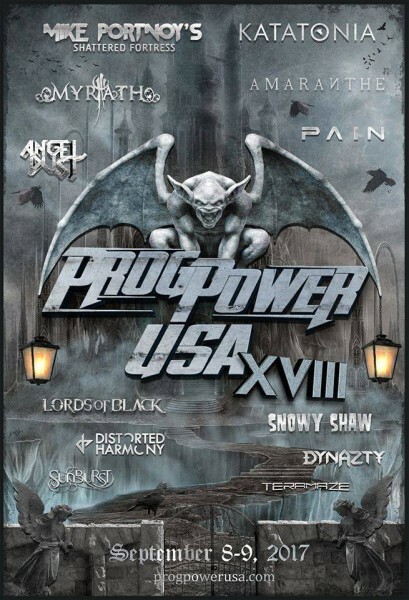 & Check out http://www.progpowerusa.com/ for more information.